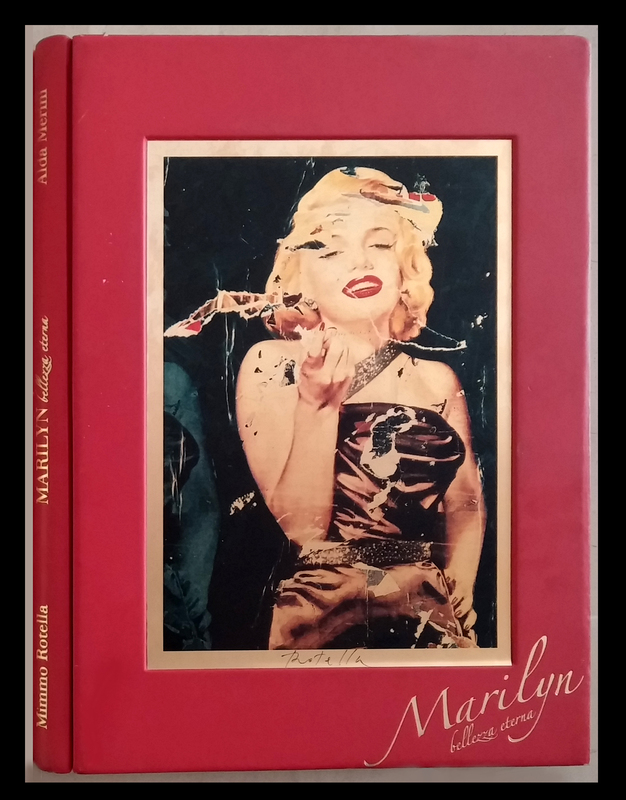 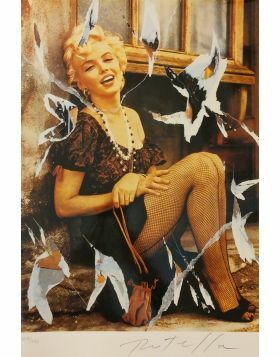 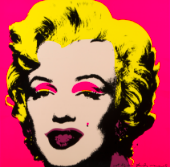 In 2005, one year before the death of Mimmo Rotella, the artist and the famous poetess Aldas Merini, decide of "to create" what will become a real Book Of art from the title: "Marilyn: Eternal Beauty." 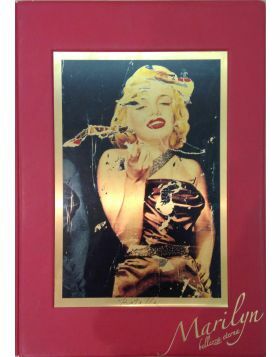 It is a book of dimensions 46,5 xes 33 cms, with as cover a splendid plate in gilded inox steel 24 K entitled "Eternal Beauty", realized with special procedures to sixteen passages of color and bringing the signature of Mimmo Rotella. 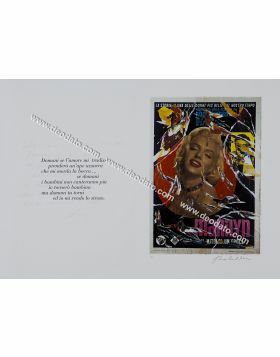 The edition is limited to only 199 works + 19 artist proofs dedicated "ad personam." 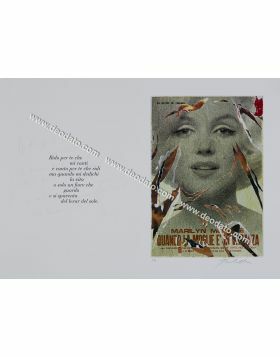 The book contains an introduction of Vincent Mollica and a critical text of Enrico Giustacchini. 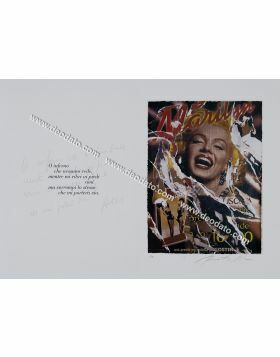 The particularity however, that makes this book unique, is that inside there are ten multiples "Dècollages" of Mimmo Rotella devoted to Marilyn Monroe and ten unpublished poetries composed by Alda Merini. 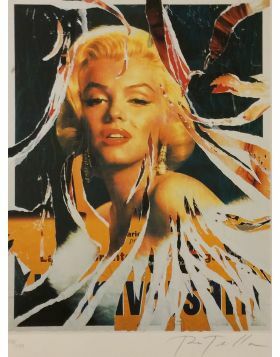 The works of Mimmo Rotella in the book are multiple "Dècollages", realized with bonding and manual rips, making therefore every work unique (thing that we also find again in the famous collection of the SeriDècollageses). 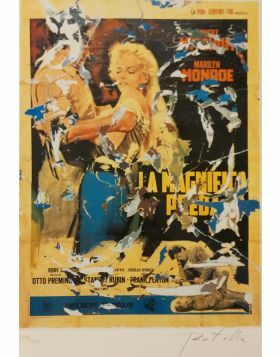 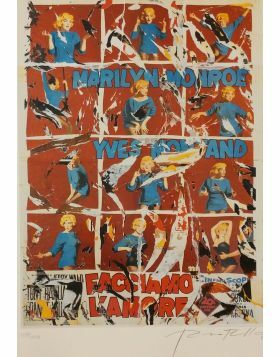 All the ten works are signed and number in original by Mimmo Rotella, they have been printed by hand on appreciated paper BFK Rives from gr.250 produced by the paper-mill Arches. 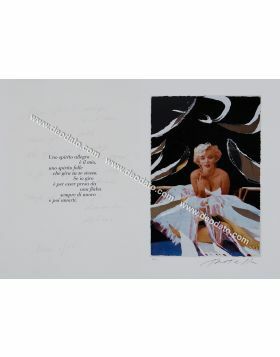 Each of the ten graphic works of Rotella is accompanied beside in the page, from an unpublished poetry of Alda Merini, that she wrote only and exclusively for this project, digging in the tormented personality of Marilyn Monroe, undisputed protagonist, as in this case, of good part of the artistic works of Rotella. 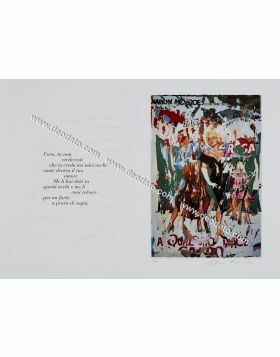 Each of the ten works of Mimmo Rotella is equipped by the beside page, bringing the unpublished poetry of Alda Merini.